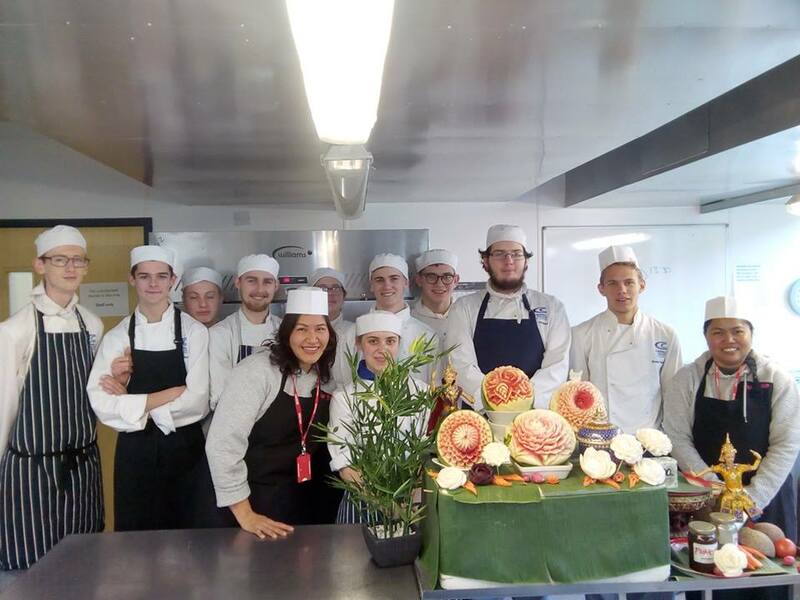 An annual Industry Week has given Cornish catering students plenty of food for thought, as they contemplate the different career paths available for them after completing their qualifications. More than 10 professional catering and hospitality guests gave demos or workshop sessions at Cornwall College St Austell, from industry professionals such as St Austell Brewery wines, Carlyon Bay hotel, Cornish Coffee, Idle Rocks, Longstore and Lobb’s Butchers. “It made me think of a change in direction to go for experience and maybe a job or apprenticeship there,” he added. Five staff members from Idle Rocks Hotel inspired students with a talk on the career paths. Award winning Chef Tim Kendall included his story and they brought the director of Fish 4 thought who gave an insight into sustainability and business. “The visiting chefs and guest speakers were really impressed with our own students and said how engaged, fun and what a pleasure they were to work with,” Steve continued. For more information on the range of Catering & Hospitality courses available across The Cornwall College Group visit www.cornwall.ac.uk or call 0330 123 2523.